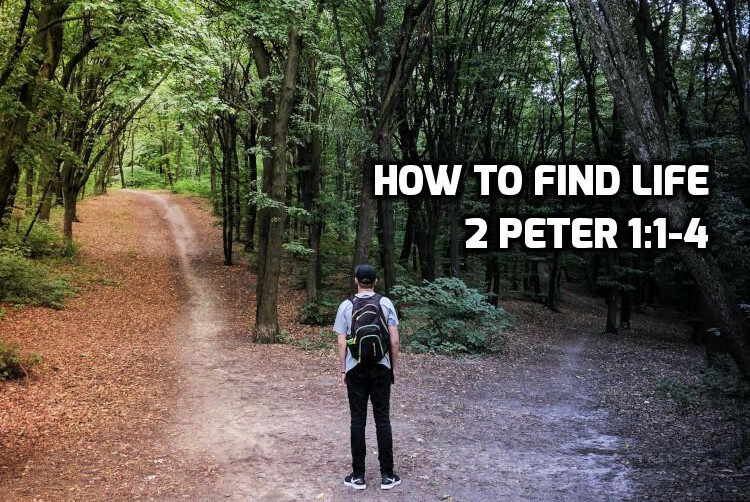 2 Peter is about staying true to the gospel in the face of false teaching, a challenge facing every believer today. Many voices — both from the world and within the church — are teaching a false or compromised version of the gospel. How do we recognize false teachers? How do we remain true to the gospel in a corrupt world? Those are the themes of Peter’s second letter. Peter is most likely writing to the same churches addressed in his first letter. He is writing near the end of his life (approximately 65-67 AD), probably from Rome. He states his purpose for writing in 2 Peter 1:12-14. Peter’s authorship was questioned in the early church, but I believe he is the author. To understand the problem the gospel solves, see What is the Gospel? New Testament letters open with a three-part salutation: 1) the author, 2) the recipients, and 3) a greeting or blessing. Simon/Simeon is Peter’s Hebrew name. Peter is the Greek version of a nickname Jesus gave him (John 1:42). It was common to use both your given name in your native language and a Greek version of your name. As an apostle, Peter has the authority to speak for Jesus Christ. As his slave, Peter is not free to change the message. 2 Peter 1:1 “To those who have obtained a faith of equal standing with ours” – those who believe the same gospel we apostles believe. He adds “knowledge” to the typical greeting because he’s going to argue against the false teachers. It is through knowing the apostolic gospel (in contrast to that of the false teachers) that you gain grace and peace. 2 Peter 1:3 “His divine power has granted to us all things that pertain to life and godliness” – all things in the sense that the apostolic gospel is complete and contains everything you need to gain Life and godliness. 2 Peter 1:3 “through the knowledge of him who called us to his own glory and excellence” – In this context, to know God is to know and understand what He has revealed through His prophets, His Messiah and the apostles. 2 Peter 1:4 “so that through them you may become partakers of the divine nature” – Part of the gospel promises is that God will change our sinful natures so that our characters become holy and good as He is holy and good. Peter has a very high view of the gospel of Jesus Christ. The modern idea that “head knowledge is bad and heart knowledge” is good” is misleading. We need to both. You can’t have heart knowledge without first having head knowledge. Peter confirms that our real problem is sin and death and our real solution and hope is the gospel of Jesus Christ. We find Life and godliness through the gospel of Jesus Christ, and no other.